As you may’ve seen on our Snapchat (or all over Instagram), H&M launched its Sydney flagship store—one of the biggest in the world—at Pitt Street Mall last night. While most were watching Solange Knowles perform or sipping cocktails (or both), we did what we do best and ran straight for the clothes. What did we go home with? The perfect black summer twin-set. We'll be wearing ours this weekend with oversized shades and lace-up flats. Keep scrolling to see the exact pieces the Who What Wear Australia team took home last night. Unfortunately you can't shop H&M online in Australia (yet! 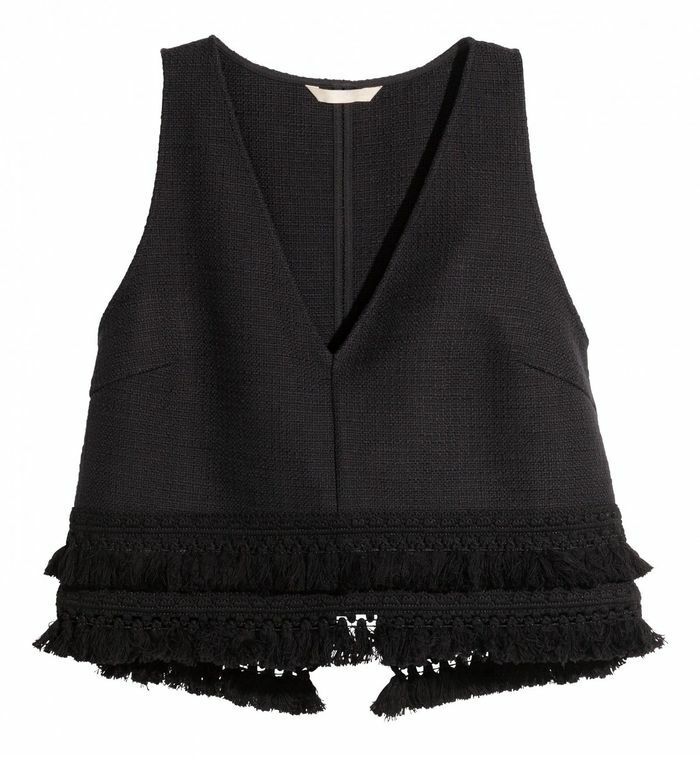 ), but if you love this tasselled two piece, shop similar pieces over at Net-a-Porter. Main image of Solange Knowles courtesy of H&M. Will you go and check out the new Sydney store? Let us know in the comments below!